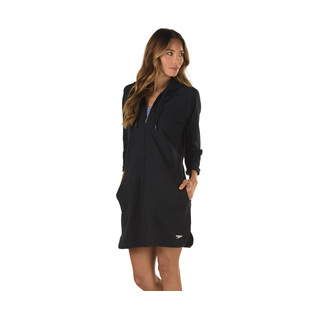 The all new Speedo Aquatic Fitness Robe with Hood Female is a dual purpose towel/jacket. Material is strong enough to soak up all the water but coat is also thick enough that it will keep you warm, almost as well as a parka would. 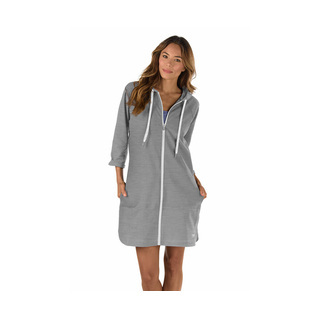 Soft French Terry cover-up with 3/4 length sleeves. UV Block the Burn protective fabric features lightweight and quick drying. Fabric: 68% Cotton / 26% Polyester/ 6% Spandex. Even the XL is snug ... wish it was offered in XXL. Item is well made and looks like it will be warm for the winter which is why I orfdered it.